The Council for Affordable and Rural Housing (CARH), a national rural affordable housing advocacy and trade organization based in Washington, DC, has named Flynn Management Corporation and Flynn Development Corporation as top providers to the affordable housing industry in Rural America. Flynn Management was ranked the 17th largest owner and Flynn Development was named the 5th largest developer of rural affordable housing in 2015. As of December 31, 2014, Flynn Management owned 1704 units in 40 properties of affordable housing and Flynn Development developed 249 units in 8 properties of affordable housing in a USDA defined rural area or multifamily housing financed through the Rural Development Section 515 Rural Rental Housing Loan program. Flynn Management’s and Flynn Development’s ranking on the CARH 2020 speaks to the enormous contribution the company has made to housing low-income rural Americans. 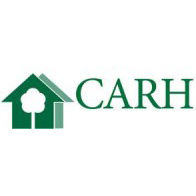 “As an advocacy group that has represented the interests of rural affordable housing providers for more than 35 years, CARH knows how important organizations like Flynn Management and Flynn Development are to ensuring low-income rural Americans can secure affordable housing. We congratulate them on this momentous achievement.” said Colleen Fisher, Executive Director of CARH.